Extreme heat and cold are potentially hazardous workplace conditions, and leaders must defend their employees against such environments. Hot and cold conditions should be prepared for. Thinking about safety on the job, a few hazards come immediately to mind: Heights, potentially dangerous substances, slippery floors, and other environmental risks are immediately identifiable as dangerous parts of a worker’s setting. Less noticeable risk factors, such as heat and cold, may be even more dangerous, however, as leaders may neglect to adequately deal with these issues until they become painfully evident. Temperature stress is a serious workplace hazard — one that can change drastically from one season to the next. The methods of coping with heat and cold will necessarily vary based on the type of work being performed, the nature of the environment and other factors. 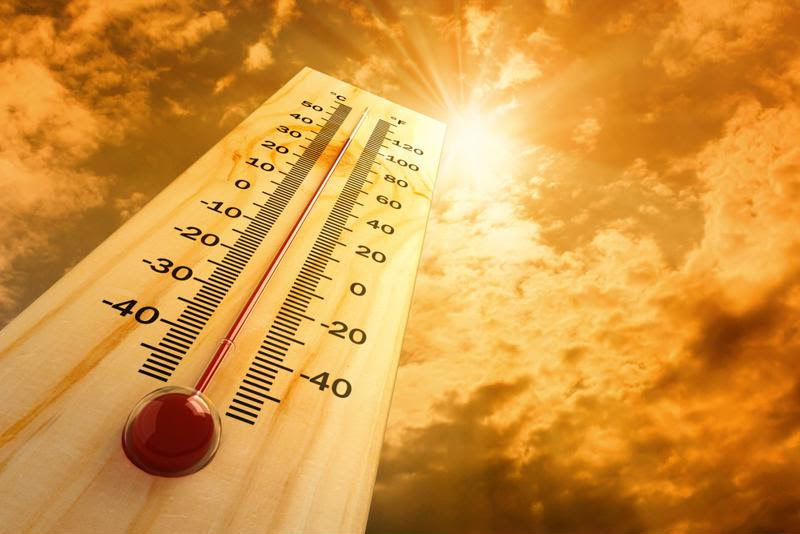 The Occupational Safety and Health Administration (OSHA) maintains regulations specifically designed to keep workplaces safe from the impact of extreme temperatures. Organizational leaders must be ready to meet and exceed these requirements. According to OSHA’s rules, workplaces must not place employees into preventable situations likely to cause death or serious harm. Cases over the years have established a clear precedent – heat exposure can be one of these high-risk situations, and leaders must have plans in place to keep their employees from suffering the harmful effects of high temperatures. Equipping teams with the right gear to handle extreme temperatures is one of the imperatives facing organizational leaders. This requirement has multiple components for workplace leaders to focus on. Environments should be ventilated, air-conditioned and otherwise adjusted to minimize exposure. In situations involving the handling of potentially hot objects, workers must have protective equipment. In other cases, as when teams have to wear general protective equipment in hot environments, managers have to mitigate any added heat risk that comes from wearing the gear. Dealing with heat isn’t all about issuing equipment or controlling the work environment. Leaders must also know about teams’ potential susceptibility to heat-related illnesses or conditions. When it’s possible to rotate shifts frequently out of hot environments, managers should do so. Furthermore, serious illnesses or injuries have to be recorded in line with the latest OSHA recordkeeping regulations. This applies to conditions that go beyond standard first aid. OSHA’s illustrative example is that making a worker drink fluids is not a recorded incident, while administering fluids intravenously is recorded. Training is another essential part of preparation for work in hot conditions. Employees and their supervisors should each be briefed on their roles in keeping everyone safe. Getting workers acclimated to work in high temperatures is an important process that must be managed carefully. Workers dealing with heat must also understand the importance of drinking water frequently, while their managers have to understand what to do when making a heat-related emergency call. Working in a hot environment can bring added risks. Working in cold conditions comes with its own set of risk factors, and OSHA makes recommendations and best practices to keep employees safe. According to OSHA, cold conditions are covered by the same rules that apply to heat, namely the requirements that state employers must not expose their workers to unnecessary hazards or preventable dangers. Whenever possible, employers should provide elements to mitigate the cold. OSHA recommended using heaters in places where cold is pervasive. These can even be effective in outdoor areas if workers have to stay in one place for a long time — for example, if they are stationed outside a building on security duty. Setting up barriers to keep cold winds away from workers’ areas is another effective form of helpful design. As with heat danger, personal protective equipment is a top way to defend workers from the cold. Workers in cold weather should have multiple layers of clothing, with gloves, boots and potentially face masks keeping these employees insulated from the frigid temperatures. Ensuring that workers stay dry and get enough water to drink should also be at the top of supervisors’ agendas. When managers know the risks of the cold and signs of trouble, they can keep their teams safe. Training is just as important in dealing with cold environments as in protecting against excess heat. When every person working in the cold knows the risks, and signs of danger associated with such a setting, the chances of a dangerous incident decrease significantly. To be optimally prepared supervisors and individual team members should receive preparation that suits their individual roles and responsibilities. Video-based training options for preventing cold and heat stress cover a variety of sub-topics within that general theme. These courses are divided by industry and environment. Some training materials focus on using real stories of temperature incidents as examples of what can go wrong, while others focus on specific regulations to obey. Roles that don’t require special temperature consideration in spring, summer and autumn may become more dangerous once winter temperatures set in. There are courses suited to these cases, as well as training options aimed at working outdoors in the heat of summer. Temperature-based risks should never be ignored, so picking the right training option is essential. This entry was posted in OSHA, Workplace Health and Safety and tagged cold stress, heat stress, OSHA, Safety Training, temperature safety, working in cold weather. Bookmark the permalink.